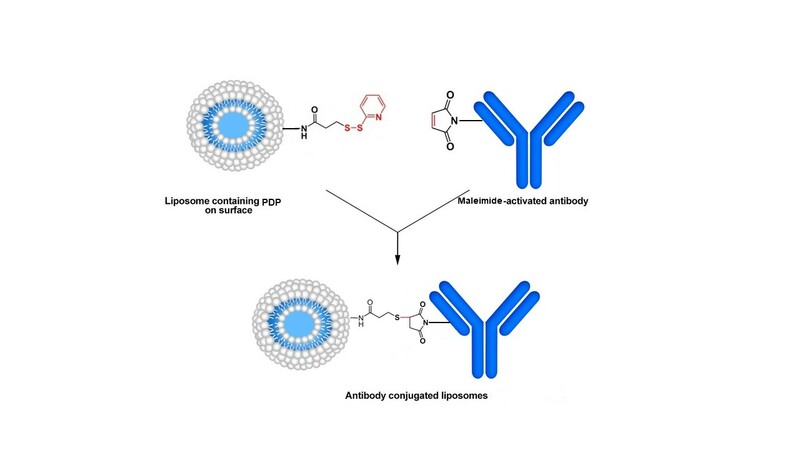 ImmunoFluor™-PDP is a PEGylated product. For other reactive (PEGylated and non-PEGyalated products) ImmunosFluor™ products suitable for other types of conjugation method see here. The total lipid concentration in Immunosome®-PDP is 21.58 mM. 1% mol of the lipid in liposomes contains PDP group and only half of them are exposed to the outside of the liposomes, which is equal to 0.11 mM of reactive conjugable lipid. For 2 ml volume liposome, this is equal to 2.20×10-7 mol of PDP. To reduce the disulfide linkage, incubate the liposome containing PDP with DTT solution (liposome-PDP:DTT molar ratio of 1:250) to a final concentration of 20 mM for 30 min at room temperature. The total lipid concentration in Immunosome®-PDP is 21.58 mM. 1% mol of the lipid in liposomes contains PDP group and only half of them are exposed to the outside of the liposomes, which is equal to 0.11 mM of reactive conjugable lipid. For a 2 ml volume liposome, this is equal to 2.20×10-7 mol of PDP. Add the sulfhydryl-containing protein/antibody to PDP-liposome at 1:1000 molar ratio (ligand:active lipid, 1:10 molar ratio). In order to prevent metal-catalyzed oxidation of sulfhydryl, the reaction should be done in the presence of 10 mM EDTA. The pH is adjusted to 8.0 and the coupling reaction allowed to proceed overnight at room temperature with stirring under nitrogen or argon atmosphere to prevent lipid oxidation. Remove the non-conjugated protein, peptide or antibody from the immunoliposomes by dialysis. We prefer dialysis to size exclusion columns. Dialysis is a much slower process but there will be minimum loss of immunoliposomes after the prep is cleaned from non-conjugated protein/peptide/ligand. Spin columns are much faster; however, you can easily lose over 50% of the liposomes on the spin column. We recommend using Float-A-Lyzer® dialysis cassette from Spectrum Labs. You will need to choose a cassette with proper MWCO depending on the MW of your protein, peptide, antibody or antibody fragment. NOTE: If you decide to use a dialysis cassette, you will need to make sure that the MWCO is below 1,000,000 dalton. At 1,000,000 dalton, the pore size on the dialysis membrane gets close to 100 nm and therefore, your liposomes can be dialyzed out. You can not use dialysis cassettes and spin columns blindly. They come in various sizes and you need to choose the correct size wisely. Dialyze the immunoliposome solution in 1 liter of PBS at pH 7.4 for 8 hours. Change the dialysis buffer with a fresh 1 liter of PBS and let is dialyze for another 8 hours. After this step, your cleaned up immunoliposome is ready to be used. 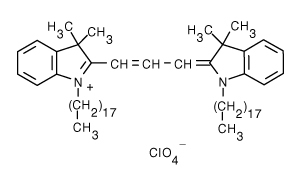 In order to prevent oxidation of sulfhydryl on antibody and formation of disulfide bridge, the coupling reaction must be performed under an inert atmosphere such as argon or nitrogen. To set up an inert gas chamber we recommend using Aldrich®-Atmosbag with is a flexible, inflatable polyethylene chamber with built-in gloves which is a portable and inexpensive alternative to laboratory glove box. Maleimide group on lipid is highly sensitive of alkaline pH and it will hydrolyze rapidly at higher pH. 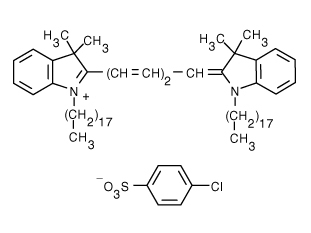 Experimental investigations have been shown that in alkaline condition (pH > 7.5), maleimide and its derivatives are hydrolyzed to a non-reactive maleamic acid (see the figure below). 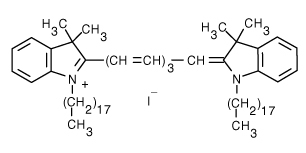 This instability should be considered account in any quantitative procedures, such as coupling with sulfhydryl groups. Therefore, it is very important to make sure that the pH of the reaction with stay between 6.5 and 7 during the entire process. ImmunoFluor™-PDP formulation is colored and the color is depend on the type of the fluorescent dye that is used. 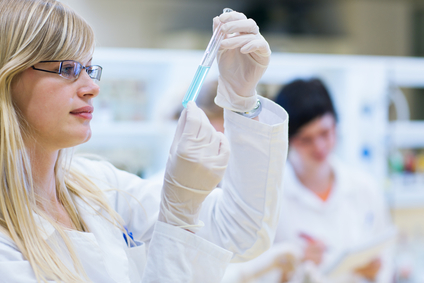 Usually due to the small size of liposomes no settling will occur in the bottom of the vial. The liposomes are packaged in an amber vial. 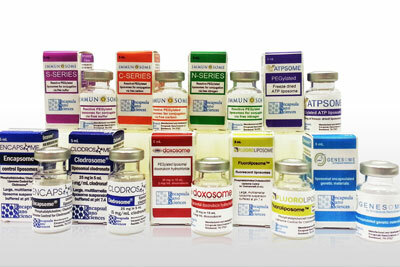 ImmunoFluor™-PDP (PEGylated) is made on daily basis. The batch that is shipped is manufactured on the same day. 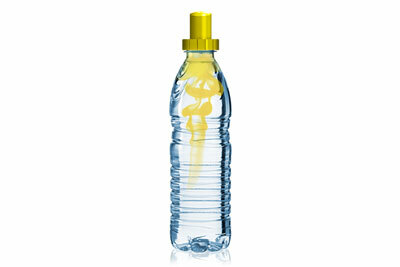 It is advised to use the products within 2 months of the manufacturing date.